True religion cannot stand against useful progress. If history has recorded on account of a few religions and their men their stand against progress, it is because they were not the true religion of Allah. They were deviated and changed, and lost their authenticity and superiority. They were instantaneous religions which Allah had not promised to preserve. As to Islam, Allah willed that it be the comprehensive and eternal message for all humanity after it attained full maturity, and deserved that this message be revealed to it. Thus it is no surprise that it was based from its beginning upon the respect of the mind and intellect, opposed to imitation and inertia in favour of science and wisdom, and dependent on proof and evidence, and the glorification of the benefits of science and its people, the return to the men of knowledge and expertise, and the incitement to work and action and dread of slackness and idleness. It is also no surprise that we find that the eternal Book of Islam, the Book of Allah tells us in the story of the father of Humankind (Adam) about science as the first requisite of representation of Allah on earth, and that it is thanks to it that Adam surpassed angels. It also tells us in the story of Noah about the manufacture of boats, and the story of David about ironwork and the making of armoury, and in the story of Suleiman about the genie making for him anything that he wants. It also tells us about economic planning - over a period of fourteen years- in the story of Joseph. It also tells us about the military and civilian uses of iron, in a special Surah named The Iron. We also find the Messenger of Allah, Muhammad (peace be upon him), confirming the results of observation and experimentation in the matters of life even if it contradicted his own personal view, as in the case of the pollination of palm trees, that is when he said, "You are more knowledgeable in the matters of the world." It is also no surprise that under the umbrella of such religion that many states have established themselves and eventually inherited the two of the largest empires which the world has ever known. 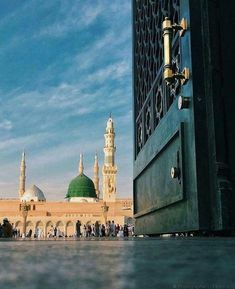 They were established by some of the followers of the Messenger of Allah on the strongest bases and the sturdiest pillars, including a combination of religion and worldly matters. There grew under its sovereignty a civilisation of gigantic buildings and high pillars which benefited from the heritage of the past, refined it, improved upon it, and added to it its own contributions and creation. It did not find anything in Islam that would hinder its advancement, or delay its progress. In fact, it found in it encouragement which made it multiply its efforts and activities. It found in it also security that holds whether it remained or strayed from its path. It is no surprise that the French philosopher and poet Gustave Lebon wrote, "The Arabs are the first to have taught the world how the independence of thought agrees with the uprightness of religion!" Do you think - after all this - that we need to ask, "What is the position of Islam regarding civilisation and evolution? Or Science and progress? Few westerners know about the golden age of Arabic science. How did it come about? The Arab empire was hugely powerful by late 8th and early 9th century; its rulers were getting taxes from across the empire and had money to spend on translations and patronage of scholarship. About this time the House of Wisdom was set up in Baghdad by one of the Abbasid caliphs, al-Ma'mun. It began as a translation house, translating Greek texts into Arabic and rapidly started to attract the greatest minds in the Islamic world, while Arabic became the international language of science. There was also a strong influence from Persia; an Arab scholar once said, "We Arabs have all the words but you Persians have all the ideas." In fact, an incredible number of important and original advances were made by Arab scientists, who were the first to undertake real science - theory and experimentation - several hundred years before the scientific revolution in Europe. An outstanding publicist, confidant and companion of Al-Mu'izz, the Egyptian sultan in 953 CE, wrote a book called "The Book of Audiences and Concurrence". His name was Qadi abu Hanifah al-Nu'man ibn Muhammad and here he recounts al-Mu'izz commissioning the construction of a fountain pen. "We wish to construct a pen which can be used for writing without having recourse to an ink-holder and whose ink will be contained inside it. A person can fill it with ink and write whatever he likes. The writer can put it in his sleeve or anywhere he wishes and it will not stain nor will any drop of ink leak out of it. The ink will flow only when there is an intention to write. We are unaware of anyone previously ever constructing (a pen such as this) and an indication of 'penetrating wisdom' to whoever contemplates it and realises its exact significance and purpose." I exclaimed, "Is this possible?" He replied, "It is possible if God so wills." The story continues that a few days later the craftsman brought a pen which wrote when it was filled with ink. The pen could be turned upside down and tipped from side to side without any ink being spilt. The pen did not release the ink except in writing and it didn't leave stains on hands or clothes. Lastly, it didn't need an ink pot because it had its own, hidden away. LONDON – A British exhibition showed on Thursday, January 21, the debt owed by European scholars to their Muslim counterparts on everything from water pumps and blood circulation to engineering and map-making. "As we move into a new global world, we need to respect and recognize the contributions of all other races and cultures into what we have today," Professor Salim Al-Hassani, the organizer of the exhibition, told Agence France-Presse (AFP). The "1001 Inventions: Discover the Muslim Heritage in Our World" exhibition is hosted at London's Science Museum and runs from the 21 January to 25 April. It features exhibits spanning from about 700 to 1700 based on hundreds of manuscripts from North Africa to China. The exhibition aims to highlight contributions by Muslim scholars to the development of astronomy, maths, architecture, medicine and engineering that have been largely ignored in European history. For example, at the 13th-century observatory in Maragha, Iran, astrologists developed new models for understanding the universe which helped pave the way for Copernicus' ideas of a sun-centered solar system in 1543. Abbas Bin Firnas, a ninth-century scholar, also performed one of the first recorded human flights when he leapt from the minaret of the Grand Mosque in Cordoba using a glider stiffened with wooden struts. Sustainer is a witness to everything? " In every age there have been Muslims who have followed the advice of the Qur'an and made surprising discoveries. If one looks to the works of Muslim scientists of many centuries ago, one will find them full of quotations from the Qur'an. These works state that they did research in such a place, looking for something. And they affirm that the reason they looked in such and such a place was that the Qur'an pointed them in that direction. For example, the Qur'an mentions man's origin and then tells the reader, "Research it!" It gives the reader a hint where to look and then states that one should find out more about it. This is the kind of thing that Muslims today largely seem to overlook - but not always, as illustrated in the following example. A few years ago, a group of men in Riyadh, Saudi Arabia collected all of the verses in the Qur'an which discuss embryology – the growth of the human being in the womb. They said, "Here is what the Qur'an says. Is it the truth?" In essence, they took the advice of the Qur'an: "Ask the men who know." They chose, as it happened, a non-Muslim who is a professor of embryology at the University of Toronto. His name is Keith Moore, and he is the author of textbooks on embryology - a world expert on the subject. They invited him to Riyadh and said, "This is what the Qur'an says about your subject. Is it true? What can you tell us?" While he was in Riyadh, they gave him all of the help that he needed in translation and all of the cooperation for which he asked. And he was so surprised at what he found that he changed his textbooks. In fact, in the second edition of one of his books, called Before we are born... in the second edition about the history of embryology, he included some material that was not in the first edition because of what he found in the Qur'an. Truly this illustrates that the Qur'an was ahead of its time and that those who believe in the Qur'an know what other people do not know. I had the pleasure of interviewing Dr. Keith Moore for a television presentation, and we talked a great deal about this - it was illustrated by slides and so on. He mentioned that some of the things that the Qur'an states about the growth of the human being were not known until thirty years ago. In fact, he said that one item in particular – the Qur'an's description of the human being as a "leech-like clot" ('alaqah) at one stage - was new to him; but when he checked on it, he found that it was true, and so he added it to his book. He said, "I never thought of that before," and he went to the zoology department and asked for a picture of a leech. When he found that it looked just like the human embryo, he decided to include both pictures in one of his textbooks. Dr. Moore also wrote a book on clinical embryology, and when he presented this information in Toronto, it caused quite a stir throughout Canada. It was on the front pages of some of the newspapers across Canada, and some of the headlines were quite funny. For instance, one headline read: "Surprising Thing Found In Ancient Book!". It seems obvious from this example that people do not clearly understand what it is all about. As a matter of fact, one newspaper reporter asked Professor Moore, "Don't you think That maybe the Arabs might have known about these things – the description of the embryo, its appearance and how it changes and grows? Maybe there were not scientists, but maybe they did something crude dissections on their own - carved up people and examined these things." The professor immediately pointed out to him that he [i.e., the reporter] had missed a very important point - all of the slides of the embryo that had been shown and had been projected in the film had come from pictures taken through a microscope. He said, "It does not matter if someone had tried to discover embryology fourteen centuries ago, they could not have seen it!". All of the descriptions in the Qur'an of the appearance of the embryo are of the item when it is still too small to see with the eye; therefore, one needs a microscope to see it. Since such a device had only been around for little more than two hundred years, Dr. Moore taunted, "Maybe fourteen centuries ago someone secretly had a microscope and did this research, making no mistakes anywhere. Then he somehow taught Muhammad and convinced him to put this information in his book. Then he destroyed his equipment and kept it a secret forever. Do you believe that? You really should not unless you bring some proof because it is such a ridiculous theory." In fact, when he was asked "How do you explain this information in the Qur'an?" Dr. Moore's reply was, "It could only have been divinely revealed."! He became very interested in the fact that the Qur'an's statements about embryology are accurate, and so he asked Muslims to collect everything contained in the Qur'an which deals with his specialty. Again people were very surprised at the findings. Since there are a vast number subjects discussed in the Qur'an, it would certainly require a large amount of time to exhaust each subject. It suffices for the purpose of this discussion to state that the Qur'an makes very clear and concise statements about various subjects while simultaneously advising the reader to verify the authenticity of these statements with research by scholars in those subjects. And as illustrated by the Qur'an has clearly emerged authentic. The Science Museum in London is hosting a new exhibition, '1001 Inventions: Discover the Muslim Heritage in Our World'. The show traces the history of a thousand years of science from the Muslim world, including social, scientific and technical achievements. Nick Higham had a look around. In his final address to the non-Muslim participants of the New Mexico educational retreat, Abdal Hakim Murad looks at the other aspects of the long-standing historical interaction of the three Abrahamic faiths, such as the transmission of science, technology, and philosophical ideas from the Islamic world to the Western world. Islam in the middle ages was a very successful commercial and material civilization and this fact combined with the Muslim's strategic geographic positions allowed for such a profound influence and contribution. The speaker looks at the economic/cultural/scientific contributions in the areas of maritime navigation and exploration, agriculture, music, poetry, mathematics, astronomy, medicine, chemistry, and much more. (Recorded at the Dar al Islam Teachers' Institute seminar). Muslim men of letters preferred the study of books to gatherings and discussions, for being close to books was closer to their hearts than being close to the Caliph or the Ruler. When al-Jahiz wanted to visit Muhammad ibn Abd al-Malik al-Ziyat, a literary figure and a minister, he thought the best gift to give him would be the book by Sibawayh, the master of Arabist of his time. The minister accepted the gift joyfully and said to al-Jahiz, "By Allah! Nobody ever gave me a gift more beloved than this gift of yours." Sahib ibn Ubad, instead of accepting the highest post in the royal palace of Nuh ibn Mansur al-Samani, opted for the company of books in a library, since he was in love with his library, he could not leave it and could not take it with him. So he preferred to live where his heart was. This was the spirit of the learning on whose basis our learned men, the rich and the noble, showed such zealous attachment to books and collected them. They considered the loss of their domestic goods much less than the loss of books. With this spirit of learning, people would compete with each other in purchasing books. As soon as a book neared completion, people approached the author or compiler to buy it. For example, the ruler of Andalusia, Hakam, learnt that Abu al-Faraj Asfahani was writing his famous literary book al-Aghani. He sent him a thousand dinars as the price of one copy of this book and asked him to send it as soon as it was completed. So this book found its way to Andalusia and was being read there long before being available in his own county - Iraq. Oscar-winning actor and screen legend Sir Ben Kingsley has taken the starring role in a short feature film about the scientific heritage of Muslim civilisation. The mini-movie, entitled 1001 Inventions and the Library of Secrets, accompanies a global touring exhibition that this currently open to the public at the Science Museum in London. In the movie, Sir Ben takes on the role of a mysterious and cantankerous librarian who takes a group of school children on an enlightening journey to meet pioneering scientists and engineers from the history of Muslim civilization. The librarian is then revealed to be 12th century engineering genius Al-Jazari. The exhibition runs till 25th April 2010 (with a short hiatus between 25th Feb and 12th March 2010 inclusive). There are many Muslim scholars who have written about economics in a systematic way from an Islamic point of view, and their writing goes back as far as the 8th century; that is more than 1000 years before Adam Smith. There are numerous individuals who have been contributing to trying to revive an economic system in Islam which should be very relevant to the Muslim as an individual in his/her dealings; a call for a return to the foundation, to the heritage of the Islamic economics to establish a system on the basic guidance of Islam, and as such provide a possible alternative to the present system. Among others, Ibn Khaldun wrote about the economic system in Islam in the 15th century. Ibn Khaldun, in particular, was described once by the famous British historian Arnold Toynbee as the greatest sociologist who ever lived.